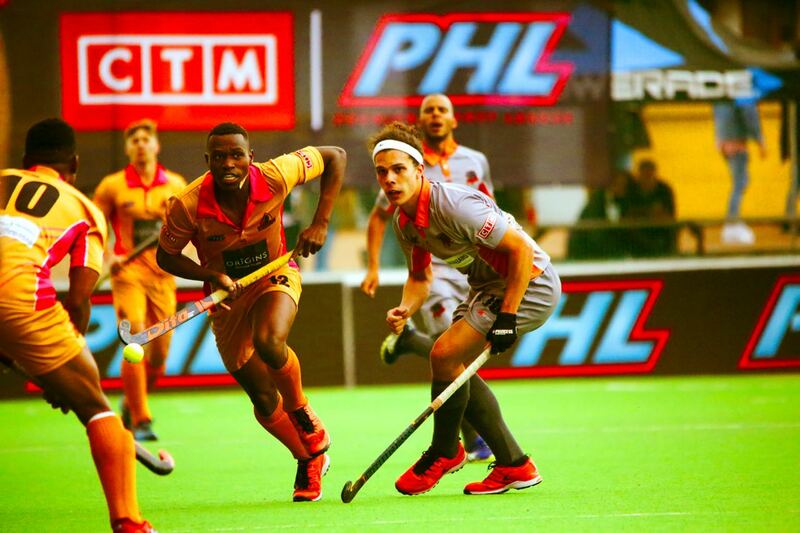 The first four days of the 2018 CTM Premier Hockey League (PHL) saw goals galore from all teams. But day five saw fewer goals as the defensive aspect came out at the Randburg Astro. Only one day and five matches remained in the group stages and certain teams have already qualified for the final next weekend. Defending champions Orange River Rafters have already qualified for the semi-finals and were joined by the Blyde River Bunters and the St. Lucia Lakers with their victories over the Namaqualand Daisies and the Madikwe Rangers respectively. The Bunters worked hard to overcome their defeat to beat the Daisies, while they were still on a high on their shootout victory against the Wings. Carmen Smith got the game’s opening goal from a 39th-minute penalty corner, as the team continued to hold out any other advances from the Daisies throughout the game. In the last minute, Mmamoagi Kungoane settled the game once and for all. The St. Lucia Lakers welcomed back Shelley Jones into their lineup but were still led by the defensive duo of Erin Hunter and Kara Botes. 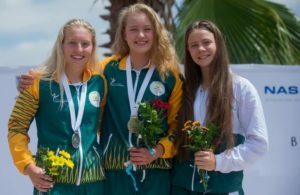 With the Lakers’ defence tight, they could keep out opposition players Kristen Paton, Isabella da Rocha and Lisa-Marie Deetlefs, who were thwarted time after time. Indoor international Tegan Fourie eventually scored a blinding drag flick for the Lakers, after she created a small pocket of space and fired into the back of the net. 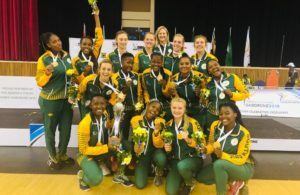 With that in place, the women’s competition concluded with the Madikwe Rangers, Wineland Wings and Namaqualand Daisies still having to fight it out for the last semi-final spot. The Addo Elephants confirmed their spot in the final four with an Ignatius Malgraff-inspired 2-1 victory over the Cavemen in a repeat of the 2016 final. While the Cavemen opened the game with attacking intentions, the Elephants retreated into defence, allowing the Cavemen major possession. This resulted in a first-half finish by Malgraff, who sliced through the Cavemen backline and finished past a helpless Rassie Pieterse. In the second half, the Cavemen kept winning penalty corners, but were unable to score from the nine opportunities they were afforded. This gave the Elephants ammunition to settle the match. With 30 seconds left, the Cavemen were pouring forward but Malgraff decided the game with a goal. He took a shot on the body for the team that had to be treated afterwards but the move by Malgraff secured the Elephants top spot. The Cavemen were on seven points; this gave the Garden Route Gazelles a 3-1 victory over the Mapungubwe Mambas, securing their place in the top four as their goal difference was better than the Cavemen. The Gazelles were able to turn a bad opening weekend into consecutive wins. In the morning, Connor Beauchamps fired home a goal within the first 30 seconds for the Mambas, but it was Clinton Panther and Berne Burger who re-established the lead for the Gazelles. The Golden Gate Gladiators knew that victory was the only way to keep their tournament hopes alive as they faced the Drakensberg Dragons. This wasn’t easy as Richard Pautz scored one for the Dragons before the half-time break. Although the Gladiators continued to fight, they were unable to break down a Jethro Eustice-inspired backline. Richard Pautz popped up a second time and put the dragons through to the semi-finals, thus eliminating the Gladiators. As it stands, the Elephants and the Dragons have qualified for the semi-finals. The Gazelles went through due to goal difference while the Cavemen will have to wait and see if the Mambas can produce a bonus-point win that they need to knock the defending champions out. All of this will be decided in the final group stage games.